The goal of research in my lab has been to study interactions between cellular proteins and conserved G-quadruplex forming regulatory motifs that can influence human gene expression. We use bioinformatics/computational tools and databases developed in our lab to conduct detailed transcriptome wide studies on the distribution patterns of G-quadruplex motifs near biologically important sites of thousands of mammalian genes. Research projects in my lab particularly focus on the regulation of human genes involved in cancer, apoptosis, and neurological abnormalities, including autism, dementia and Parkinson’s disease. I regularly collaborate with Mathematics and Computer Science faculty for research. Projects in my lab involve active participation by undergraduate students of the college, especially during the winter and summer breaks. 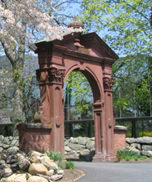 Please visit http://pages.ramapo.edu/~pbagga/pub.html for a list of publications.